Teacher Resources | Kid Power Cares, Inc. 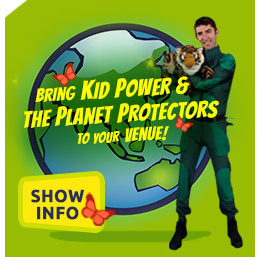 EDUCATORS: Kid Power® invites you to use these pre-show and post-show classroom materials designed and selected to further help your students comprehend the valuable lessons learned in the program. Also, check out the activity workbook pages from the comic book. 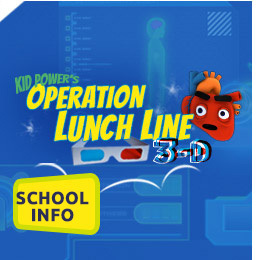 Kid Power’s Operation Lunch Line 3D is designed to reinforce your curriculum in Health and Nutrition with connections to Physical Education, Science (Biology, Anatomy, Energy) and Performing Arts. Please feel free to adapt this guide to better suit the ages of your students. Kid Power’s Operation Lunch Line 3D is designed to reinforce your curriculum in Health and Nutrition with connections to Physical Education, Science (Biology, Anatomy, Energy) and Performing Arts. This guide is specifically designed for the Hillsborough County field trip program, and shows how the lessons of the show correlate to the Florida Standards. Kid Power and the Planet Protectors is designed to reinforce your curriculum in Earth Sciences, focusing on the environment and conservation. It shows the students in an entertaining way that they must learn about the environment, do specific actions to help and teach others what they know. It examines some of the problems and possible solutions to environmental issues in the air, water and on land. Kid Power's Comic Activity Book is designed to aid in the collective efforts to stop childhood obesity. Parents/Teachers/Kids: Use these activity pages from the comic book to reinforce the nutrition and exercise lessons taught throughout the book. These pdf pages ( (2) versions each - one in black & white / and one in full color) are zipped up in a pak and provided in a high quality resolution, so that they can be printed out for use in your classroom settings. Of course we also welcome you to share them digitally to all your tablets or smartphones. Click on any section of Recycle City that you want to tour, or click on the Dumptown Game. You can create your own Recycle City scavenger hunt or go to the Activities area and see other ways you can explore Recycle City. A great way for kids to learn the basics of recycling. Games, tips, facts and information for kids to learn how to save energy. Published by the US Department of Energy. The US Department of Agriculture has created an excellent resource for learning about nutrition, food and portion control. Travel the world via interviews, discussion groups, field reports, essays, slide shows and educator resources. Start on the “Choose a Field Trip” page, and use the airplane cursor to select a wildlife conservation project you’d like to visit. The Walking Classroom program is an in-school obesity intervention that promotes health literacy and develops and supports lifelong fitness habits for all students while addressing different learning styles. Promotes a greater understanding and respect for animals, plants, water, soil, air and energy systems. Helps children comprehend the positive and negative environmental effects of our actions. This is the National Park Service’s site for kids of all ages. Activities are presented for three age groups (6+, 10+, 13+) in categories Adventure, Exploration and Discovery. Challenges, puzzles, games and activities designed to educate children about nature and stewardship. SNA is the national organization of school nutrition professionals committed to advancing the quality of school meal programs through education and advocacy. Sadly Eeko World on PBS kids was shutdown, but they continue to have many other activities on their website that teaches kids how they can help take care of the earth and explore it. Using animated characters, children can explore the fun games and educational activities.  Website promotes elementary exercises, teacher's health guides, and other related resources! Did you know that you can recycle old paper and other items right in your own home or classroom, giving that paper a new life and purpose? The content was spot on, and the multimedia presentation made complicated information accessible for the kids. There is no show out there like it! Thank you! The performance was great and the kids loved it! We definitely want to do it again next year with more grade levels!